bit of ribbon. 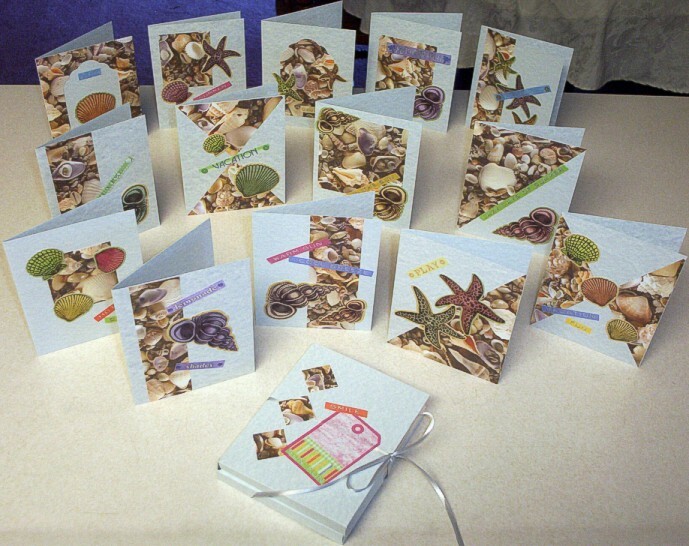 You will make 14 cards, 14 envelopes, and a portfolio to contain them. A. 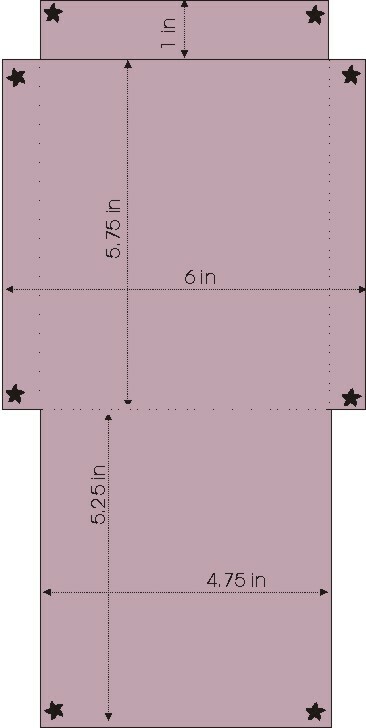 Measure 5.5 inches from the top edge and cut across the whole page. the left edge and cut. C.	Cut the resulting 5.5 x 4.25 inch piece in half diagonally. Set aside these two pieces for cards 1 and 2.
from the left edge and cut. 5.5 x 4.25 inch piece. Set both aside for cards 3 and 4. F.	From the left over piece cut two strips 1.75 x 5.5 inches. Set aside for cards 5 and 6. H.	From the top of this piece measure and cut at 4.25 inches. for card 7. 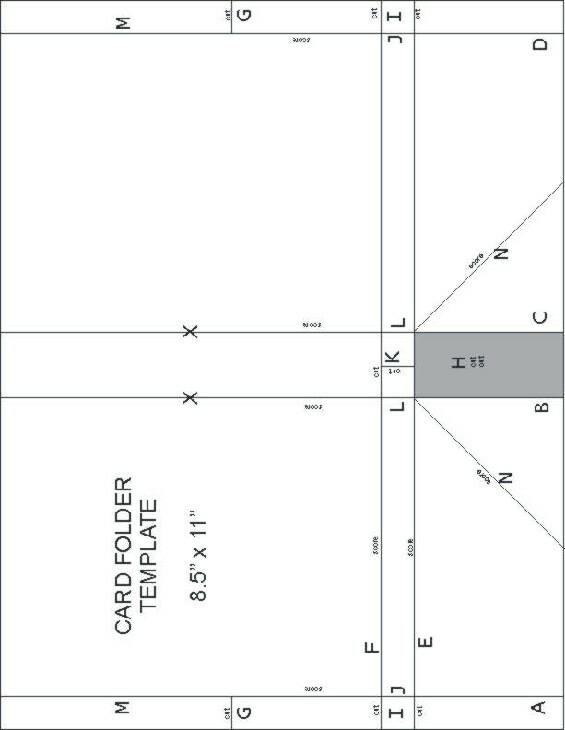 Set the two sides aside for card 8.
creating two pieces measuring 2.75 x 2.25. Set these aside for cards 9 and 10. M.	From the bottom of this piece, measure and cut a 1 x 3 inch strip. two pieces measuring 1.5 x 5.5 inches. Set these aside for cards 11 and 12. 3.5 x 3.25 inches. Set these aside for cards 13 and 14.
measuring 8.5 x 5.5 inches. Fold each card in half and crease with a bone folder. Embellish with stickers, ribbons, charms, etc. as desired. measurements shown in the illustration above. Round corners slightly at each star. Fold in sides, fold up center, fold over end flap. Tuck side flaps in and glue center to side flaps. Use a single piece of 8.5 x 11 inch cardstock that matches your cards. Lay card in landscape for all instructions. 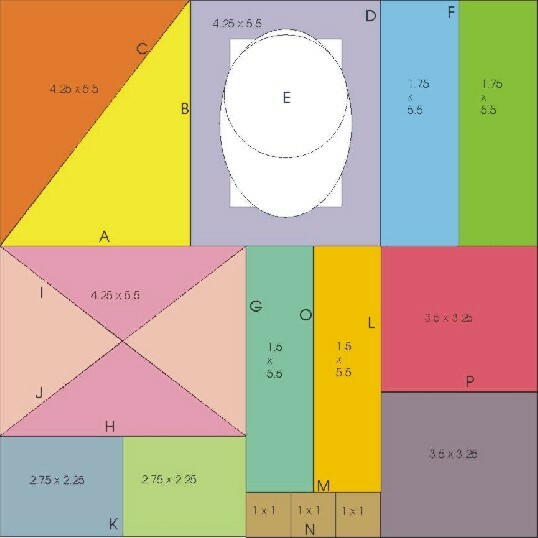 H-Cut out and discard shaded area using the scored lines as a guide. and glue in place. Repeat on right side. Fold inward on all remaining scored lines. form pocket. Repeat on right edge. Feed each end of the ribbon through one slit, from inside to outside. Center on spine and lightly glue in place. Inside each pocket of the folder, place 7 cards and 7 envelopes. Close and tie ribbon at right side.